One of my big ‘things’ about the social digital revolution is the fact that it is changing the nature of trust, shifting it from institutions into (often community-based) transparent processes. This has enormous implications, given the importance of trust in creating both brands and societies. If you look at platforms such as Wikipedia, Ebay, Uber, Trip Advisor, Amazon, Airbnb and even Google (search) itself their operation and success all have roots in forms of community-based processes. Therefore, when I first came across Blockchain a couple of years ago I realised it had the potential to change the world – simply because Blockchain is all about process-based trust. In fact it has been labelled a trust engine. I therefore knew it was going to be important, before I knew how it was going to be important. In the intervening time I haven’t been able to delve sufficiently deeply into the technology (mostly because I don’t really understand it) to get a handle on how Blockchain is going to change the World. Neither, I suspect, had many others. However, this is now changing, and smart people are starting to work-out the Blockchain applications. Which brings me to Jeremy Epstein. My faith in the significance of Blockchain was re-inforced when I heard that Jeremy had moved from Sprinklr, one of my favourite marketing technology platfroms, to set up Never Stop Marketing – a consultancy focused on helping busnesses understand Blockchain. Jeremy is someone who has always been at the leading edge of digital change and who ‘gets it’ in terms of understanding its core principles. As a rule, if jeremy is on to it, it is worth getting on to. He has just released an e-book “The CMO Primer for the Blockchain World“. I have read this once and need to read it at least two more times. 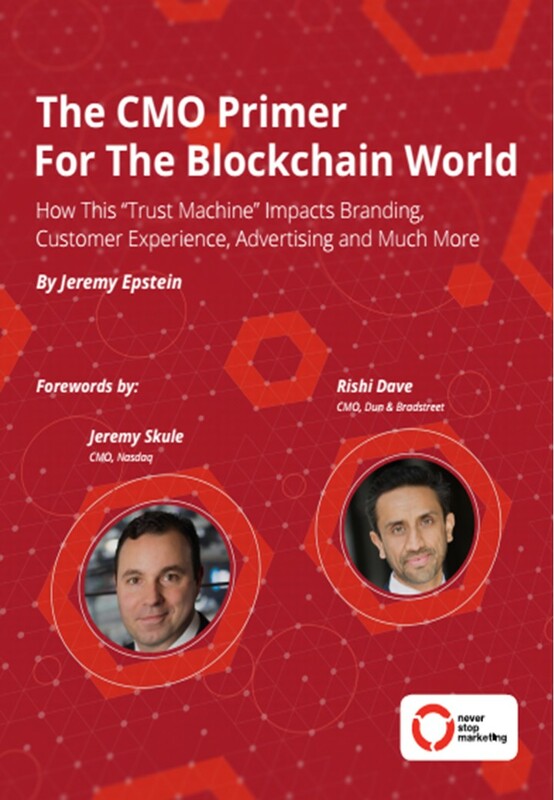 It contains some reassuring endorsements of the Blockchain concept from some leading marketers, but the most important bit is the section in the middle, where Jeremy starts to map-out potential practical applications of Blockchains in marketing, backed up by many linked examples. 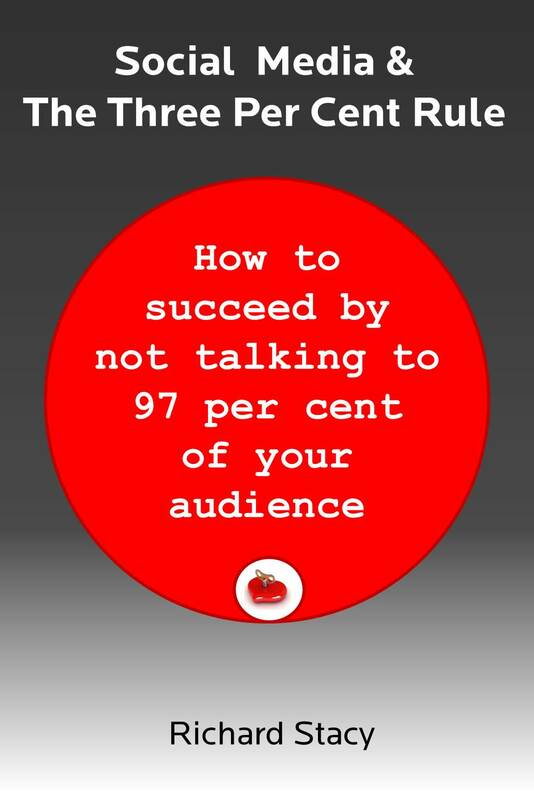 I would thoroughly recommend this e-book as mandatory summer reading. I am going to use it as my staring point for, finally, getting my head around Blockchain.